The livery of the Coradia iLint at InnoTrans in 2016. Credit: Lesley Brown. The global rail industry’s major players are competing to establish an affordable and green alternative to diesel. 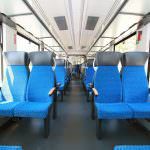 Electric traction has been rolled out extensively but electrification can be very expensive – as the UK has learned – and a large part of Europe’s network remains unelectrified. In countries where the provision of electric services is patchy, bi-mode trains are a popular alternative. Cleaner alternatives to bi-modes are being developed. Bombardier introduced the first battery-powered train – an independently powered electric multiple unit (IPEMU) – to run on the UK’s network in January 2015. And then there is Alstom’s Coradia iLint, a hydrogen fuel cell-powered train that promises to emit little more than steam and condensed water. 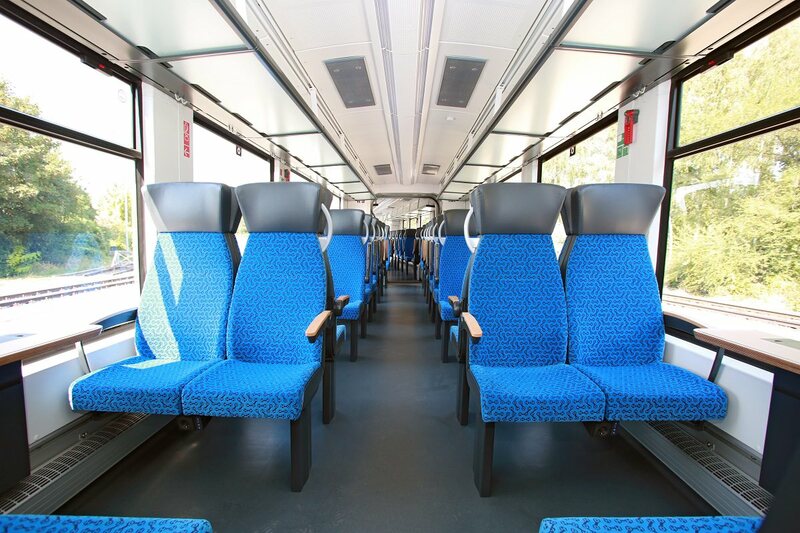 Having attracted media attention surrounding its testing and initial orders in Europe, Global Rail News took a look at the train which is leading the way for the next generation of cleaner rolling stock. The Coradia iLint at InnoTrans in 2016. Credit: Lesley Brown. How does the Coradia iLint work? 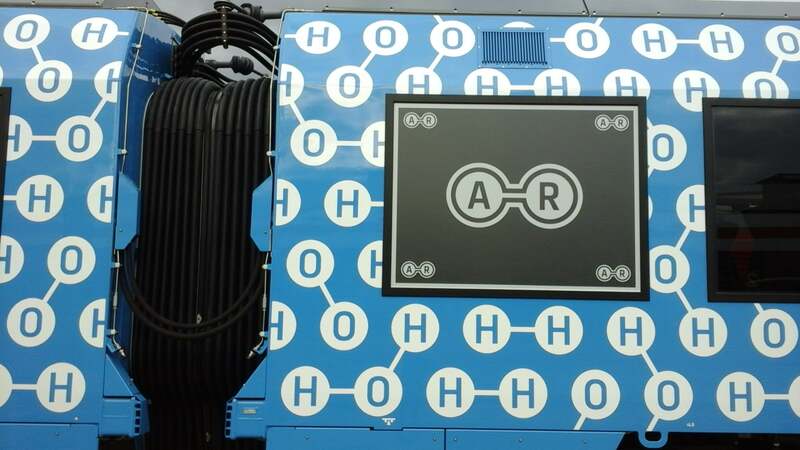 The train uses an electrical traction drive which draws on energy generated by a hydrogen fuel cell. Electrical energy is produced by exposing hydrogen, which is stored in a high-pressure fuel tank onboard, to oxygen. 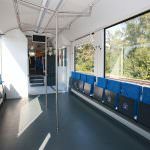 Energy that is not immediately used is then stored in lithium-ion batteries, meaning there is no need for overhead catenary. This system is CO2-free, only emitting steam and condensed water, and has a low-level of noise. An intelligent energy management system reduces energy consumption too. During testing, Alstom used waste gas emissions but said it planned to produce hydrogen from wind energy in the future. What are its operational capabilities? Based on the Coradia Lint DMU, Alstom says the iLint matches the performance of regular regional trains. It has a top speed of 140km/h, a range of up to 800km and the two-car prototype has a capacity for up to 300 passengers. Acceleration and braking is comparable to its diesel sister too, according to the French rail giant. 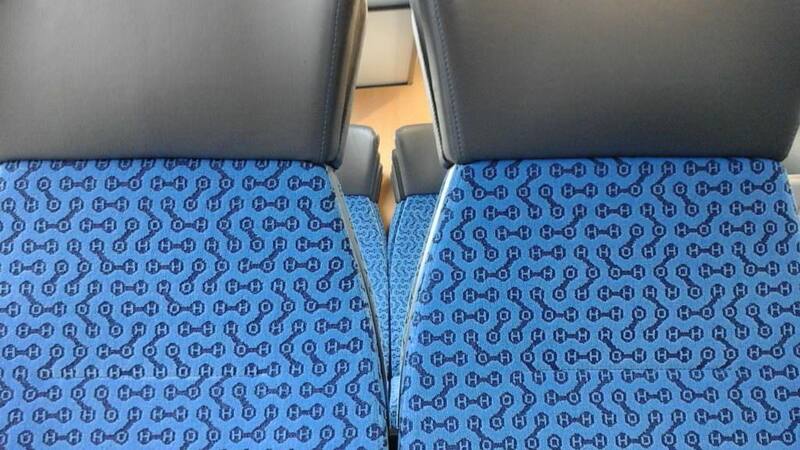 The Coradia iLint’s ‘H2O’ moquette. Credit: Lesley Brown. When did Alstom launch it? Alstom chairman Henri Poupart-Lafarge unveiled the train at Berlin’s rail industry trade fair InnoTrains on September 20, 2016. Describing itself as “among the first railway manufacturers in the world to develop a passenger train based on such a technology”, the French firm said the train was an alternative to diesel power and developed because a significant part of the European rail network would remain non-electrified in the long term. Germany was chosen for the launch because of the country’s investment in a hydrogen generation plant and hydrogen distribution networks. Has the iLint been tested? In March, 2017, Alstom successfully performed the train’s first test run at 80km/h in Salzgitter, Lower Saxony, Germany. At the same time the stability of the energy supply system and braking power was assessed too. Since then the train has reached its maximum speed of 140km/h on test track. 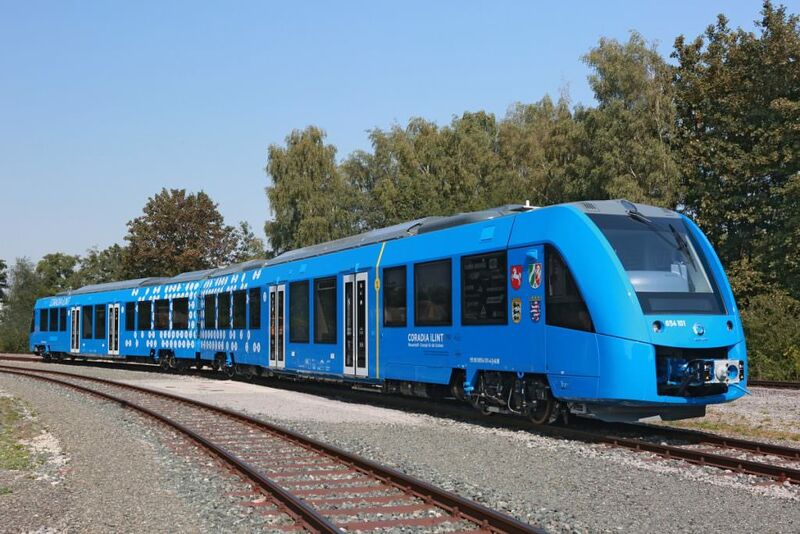 Is it the only company to develop hydrogen fuel cell-powered trains? No. Alstom describes itself as one of the first to develop a passenger train based on such technology and it is. CRRC’s subsidiary Qingdao Sifang developed a hydrogen-powered tramcar in 2015 and East Japan Railway Company made an announcement in 2006 that it had researched and developed a hydrogen-powered fuel cell system. When will the iLint become operational? The development of Alstom’s Coradia iLint was driven by a ‘letter of intent’ signed with a number of German states in 2014. 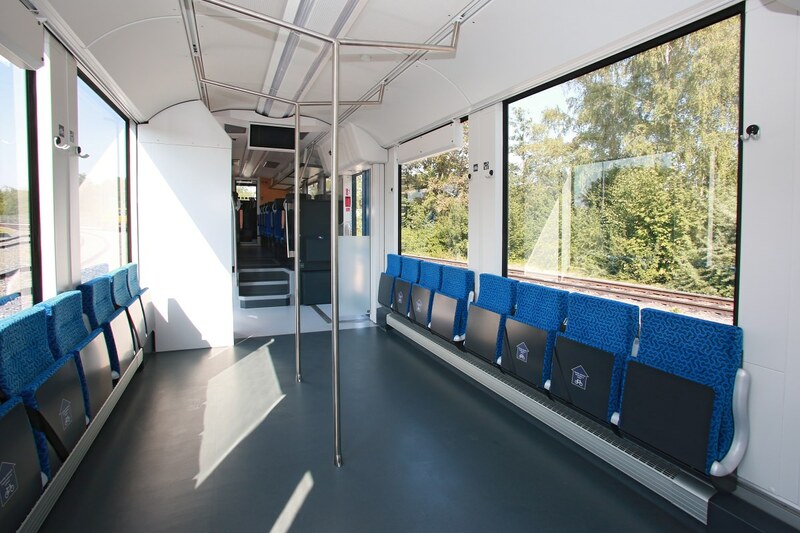 Lower Saxony, North Rhine-Westphalia, Baden-Württemberg, and the Public Transportation Authorities of Hesse all signed the declaration with Alstom, which set targets for trials to be conducted on two prototypes in 2018. Alstom also later signed a deal with the region of Calw in 2015. In March 2017, Alstom confirmed that letters of intent had been agreed for the supply of 60 trains to the first four mentioned states. Following talks with prospective customers, Alstom said in October 2017 that it hoped to shortly announce the first contract for Coradia iLints. Should everything go ahead as planned, the first test runs on the Buxtehude–Bremervörde–Bremerhaven–Cuxhaven route in Germany should begin in 2018.